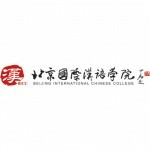 Founded in September 2005, Beijing International Chinese College (BICC) is a professional educational institution devoted to the international promotion of Chinese. BICC not only focuses on teaching international students Chinese but also offers training in teaching Chinese as a foreign language. We integrate Chinese teaching resources and advanced learning methods to meet the needs of people of different nationalities, different age groups, and different education backgrounds. We would like to become the ambassador of Chinese language and culture.